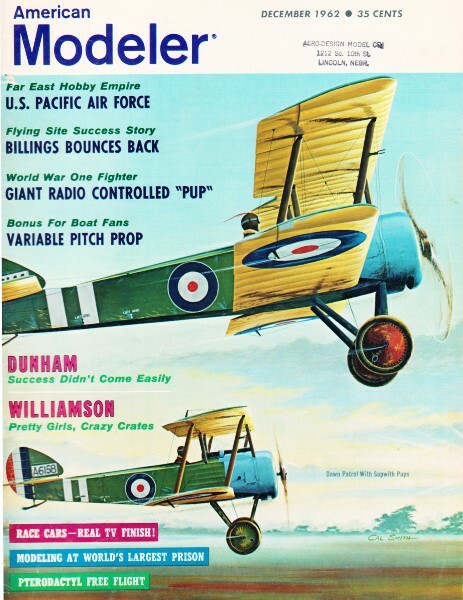 I'm continually amazed at what people are willing to pay for vintage airplane and rocket products. 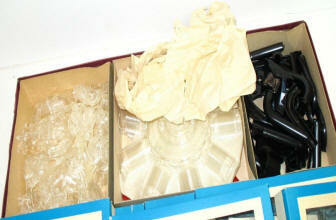 Some kits from the 1960s and earlier sell for many times what even the inflation-adjusted prices of the originals sold for. 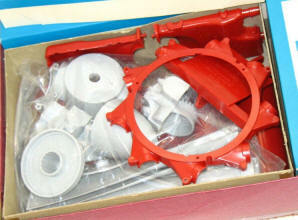 This plastic Visible Airplane Engine kit from Renwal is a prime example. 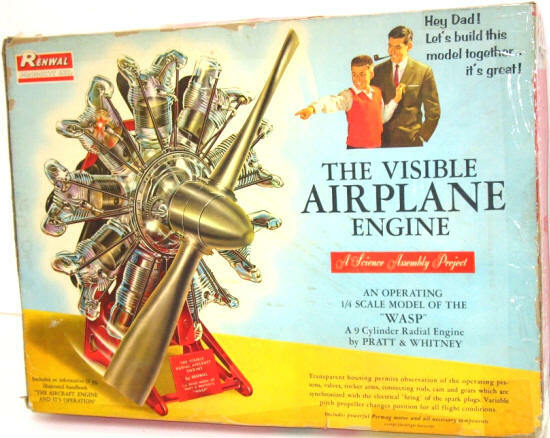 The engine is a Pratt & Whitney 9-cylinder "WASP" radial. It just went up for auction on eBay when I did the screen captures. The price is already at $127, and there are still six days left on the auction. The last one I saw ended up selling for around $350. 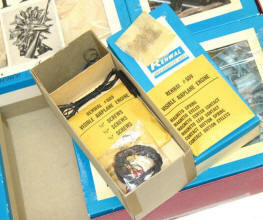 In fact, featuring the auction here will probably help drive up the price for the seller (you're welcome). 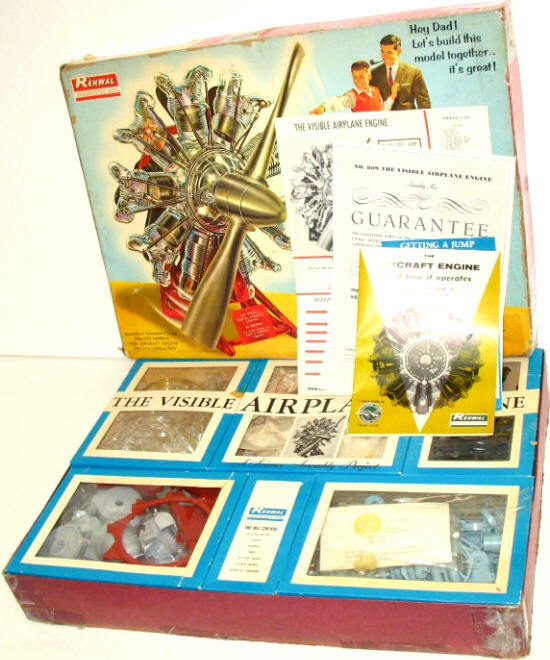 I would love to have the Visible Airplane Engine to build and put on display, but there is no way I can afford to spend that kind of dough on a kit. I will graciously accept one as a gift, though. It would probably be a good investment for someone since the price increase seems to outpace inflation - and Uncle Sam won't tax you to death on the profit (at least not yet). 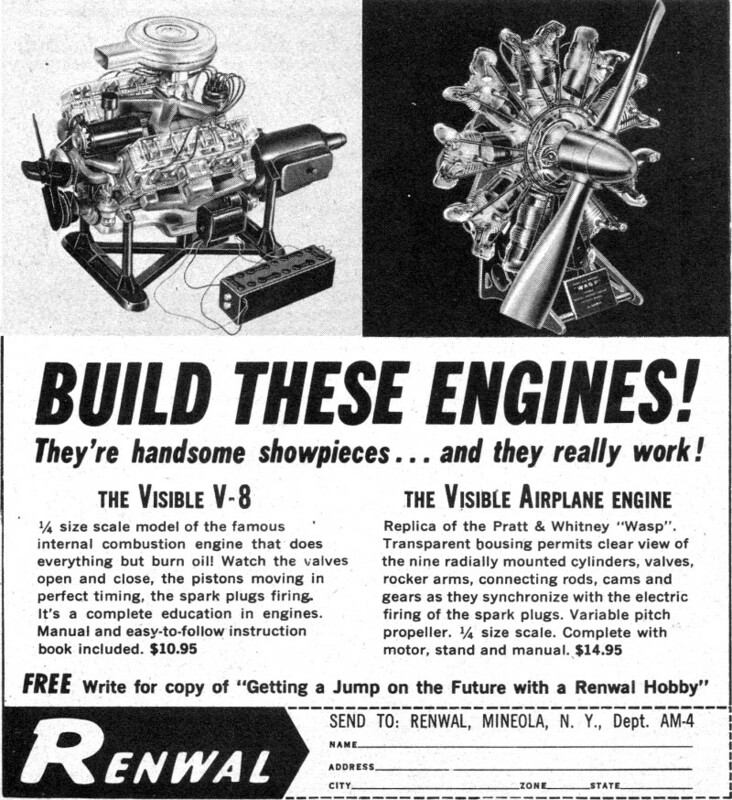 BTW, you can also buy a Visible V-8 Engine kit from Renwal. 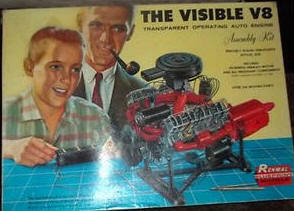 I had one as a kid, but after assembling it the mechanisms were so tight that I could barely get the engine to rotate (my fault, no doubt). 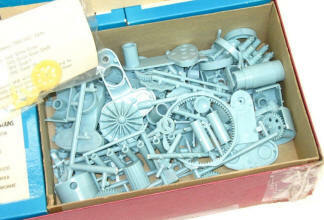 There is also a Visible V-8 Engine kit for auction on eBay right now priced at $175 with 5 days left to go. 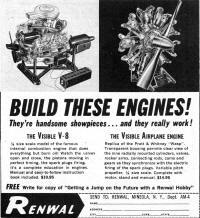 You can buy a new Visible V-8 Engine kit from Revell if you want the model but don't want to pay for a vintage kit.